Length: 50 kms. It can be done on foot, on horseback or by bike. 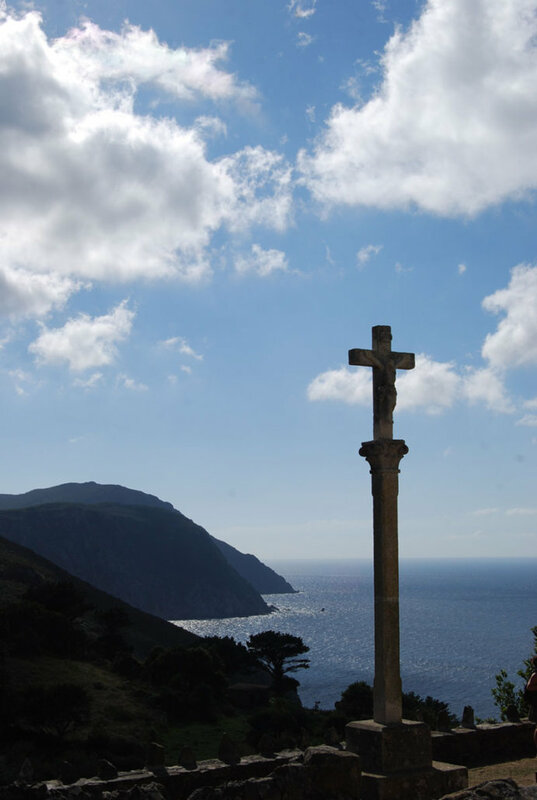 San Andrés de Teixido is one of the most venerated sanctuaries in Galicia where, as the saying goes, “vai de morto quen non foi de vivo”, that is, you will have to come here when you die if you haven’t come before – when you were alive. If you want to comply with the tradition, deposit a stone in the “milladoiros” (little stones mounts) found alongside the road. If what you want is to find love, locate the plant to fall in love. This route starts in Ferrol in the port of Curuxerias and, further north, from the Santa Comba hermitage. Once in the port, the route follows the same route as the English Way until it reaches the monastery of San Martiño de Xuvia (O Couto) in the local council of Narón. 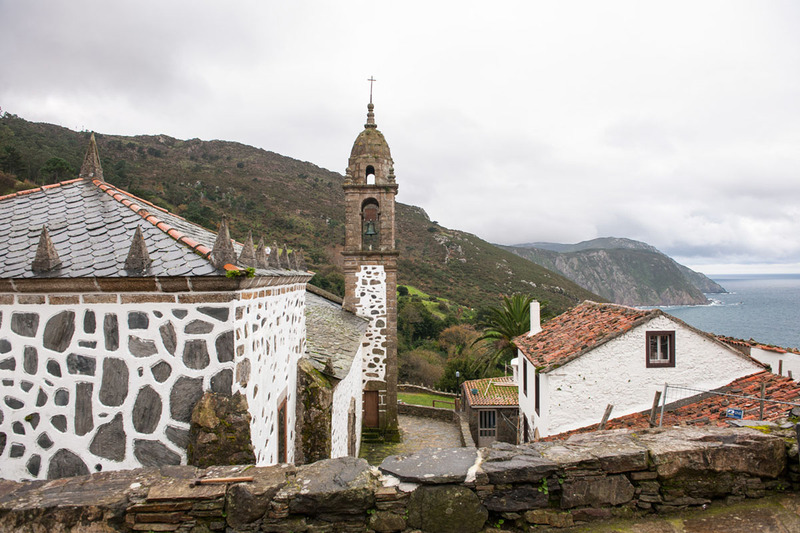 From there, and crossing the lands of Valdoviño, the pilgrims travel a total of 42 kilometers to reach the goal: the sanctuary of San Andrés de Teixido, in Cedeira. Stage 1: Curuxeiras-Pazo Libunca: 13.5 kms. Stage 2: Pazo Libunca-Porto do Cabo: 21.5 kms. Stage 3: Porto do Cabo-San Andrés de Teixido: 16 kms.